The Tier Toys AAT case has a number of interesting lessons for R&D Tax Incentive applicants as well as for the broader Grants Consultant industry. The facts of the case are quite involved and I suggest that you read the case to familiarise yourself with all the issues raised. 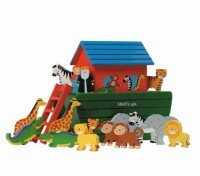 In summary, Tier Toys developed a multi dimensional toy called the “Ark”. It aided hand to eye co-ordination, together with colour recognition, animal recognition, structure and shapes. Tier Toys claimed for a range of expenses including moulds, travel, and contractual and consultancy payments amongst others. It should be noted that the case related to an application made under the previous R&D Tax Concession program but most of the lessons can also relate to the current R&D Tax Incentive program. I am going to highlight five lessons that I have taken out of the case. You cannot claim all your expenses as R&D if you are still in a R&D phase of the business. There are certain expenses that cannot be claimed for R&D. Some expenses which were ineligible for R&D may have been eligible for the Export Grant. An EMDG application to Austrade may have seen the reimbursement of some of the expenditure on overseas travel, international trade show attendance, and any overseas advertising and promotion. Keep accurate records, diary notes and other sources of information which may be needed to back up the amounts that are claimed in the R&D application and Tax return. In the 2013 Mount Owen AAT case I noted that the AAT dealt with R&D that had taken place from 2000 to 2005. In this Tier Toys AAT case, the R&D activities relate to 2006/07 R&D expenses. Purchases of assets cannot be claimed – in this case it would appear that the original application claimed Mould Making expenses of $642,818 of which the ATO allowed $42,000. Without knowing the specifics of the figures, I would suggest that the amount allowed perhaps related to depreciation on the depreciating asset. The company lodged its 2007 Tax Return in December 2007 and received a refund cheque in January 2008 for $371,518. The ATO undertook an audit of the expenditure and issued a revised assessment in July 2010 that showed that the company was entitled to a refund of $24,916. Subsequent to this assessment, there have been several appeals culminating in the decision by the AAT in March 2014. Receiving a refund (or a tax credit) does not mean that the process is over. An audit can be instituted by either AusIndustry on the R&D activities or the ATO on the R&D expenditure at any time after the refund has been received. The R&D Tax Incentive application is a complex process! There are two aspects to the process – the identification of the R&D activities and the identification of the R&D expenses. Getting either part of the process wrong can be costly. Getting help from experienced professionals to help you through the process can go a long way to overcome the potential of an unsuccessful application. Remember to also consider other Government Grant programs to help with funding – some applicants may also be eligible for the Export Grant (EMDG) and Commercialisation Australia programs.